This glamorous, mirrored jewellery box makes an ideal gift for birthdays, anniversaries and Christmas. 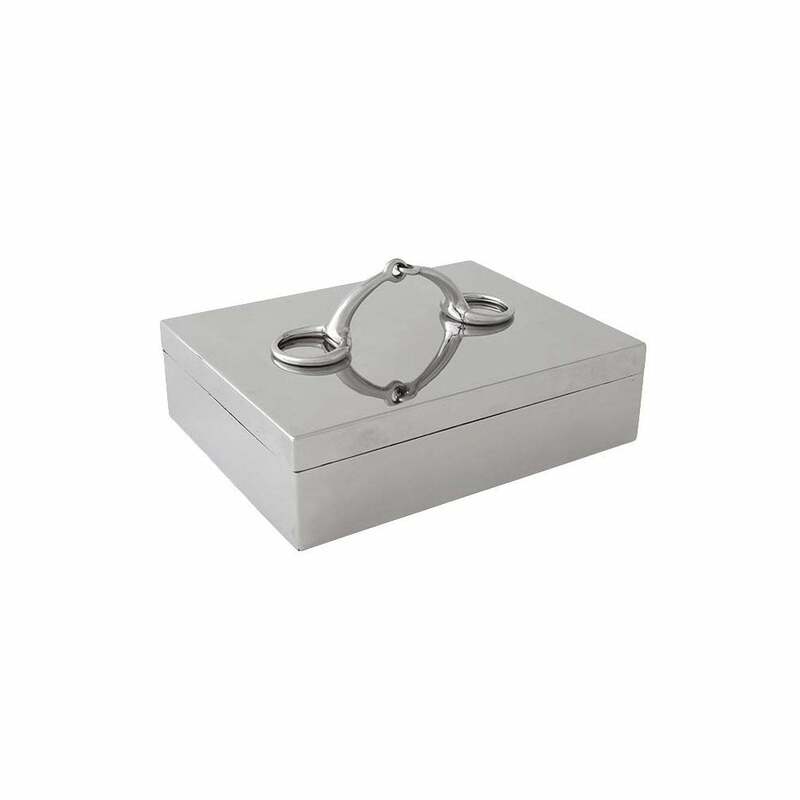 Crafted from polished, stainless steel, the rectangular box is adorned with an equestrian style handle. Made by skilled artisans, the Aurora jewellery box by Eichholtz will sit pretty on a vanity or bedside table. Keep your jewellery tangle free and store your favourite rings, necklaces and bracelets. You can also use it placed on a coffee table to keep coasters and trinkets tidied away. With a Parisian elegance, the Aurora Jewellery Box looks beautiful styled with ceramic vases, decorative candles and neutral accessories.